Hi Everyone! I am Jordan, and I write a blog with my mom called The 2 Seasons. I am so excited to be over here today and want to thank Kim for having me. The fun part about blogging is we were able to meet Kim in person at Haven last year and hung out with her some this year. Not only do we love her blog, but she is so sweet. We were thrilled when she asked to see our favorite rooms. I'm starting it out today, and my mom will be here with her favorite room in a few weeks. 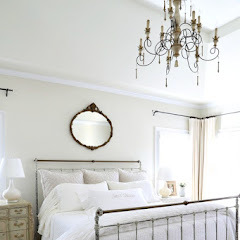 Come along and see my favorite room in our 1928 bungalow located in Syracuse, NY. 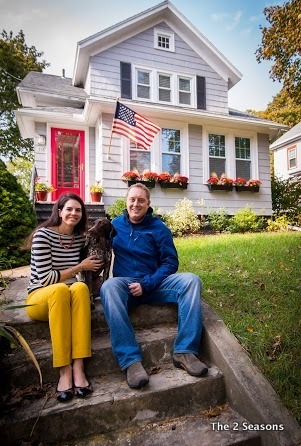 This is the first house my husband and I have purchased, and we live here with our energetic German short-haired pointer named Gracie. My favorite room in our house in our dining room. We enjoy eating all of our meals in here, and making it party-central when we entertain. Plus, we spent many, many hours at the table while completing lots of paperwork for the adoption we are in the process of going through. When we moved in, it was the first room I painted (with the help of my mom). 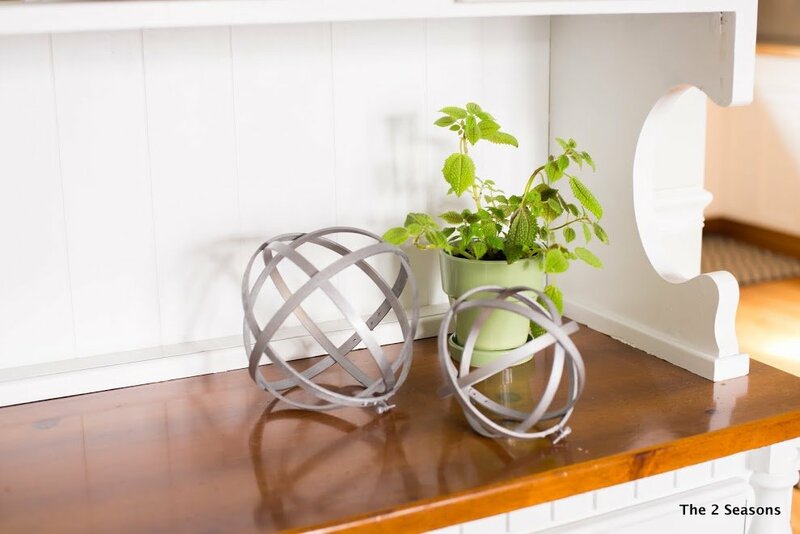 The color is Silver Drop by Behr, and I love how it is different shades of gray depending on the time of day. 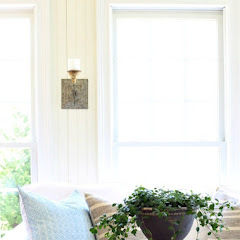 This room has some of the best natural light in our house, and since it is not always sunny in upstate New York, I was drawn to this room right from the start. Early on we added the chair rail and recovered the chairs. I painted the curtains to give a bold pop of color to the room. We have some big walls in this room and I wanted to do some inexpensive art. Since I blog with my mom, we love doing projects together. 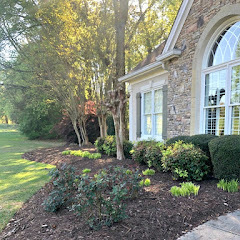 On one of her visits here, we tackled one of my favorite projects. We made this DINE sign from cardboard letters. So many times when people come over, they touch the letters expecting them to be cold metal and are shocked to discover they are cardboard. It is such a fun way to fill a large wall in my favorite room. On the other side of the room we have a large wall to work with also, so I did another project. I framed botanical prints using pages from a beautiful botanical book. 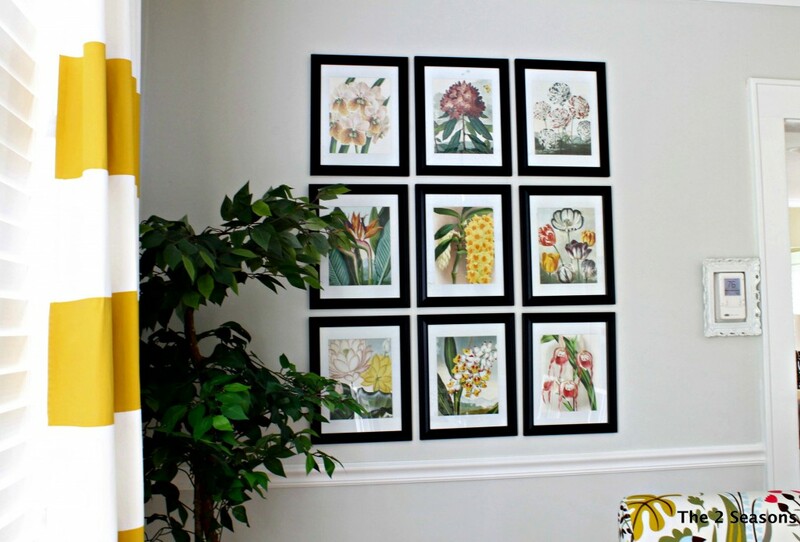 These botanical prints add some cheer to the room on the many snowy days we have here. 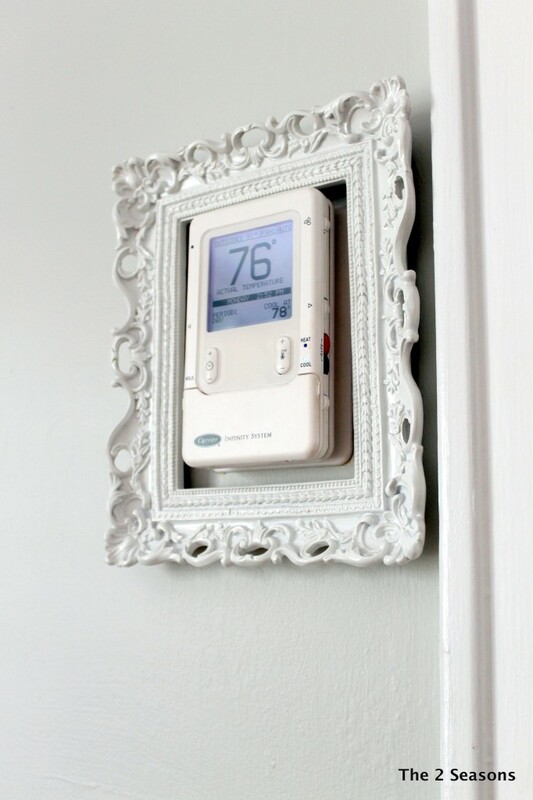 Every house has a thermostat, and they just are not pretty. I decided to make lemonade out of that lemon by framing the thermostat. For an old house, our house is very open and bright. The dining room has a large window looking outside and huge doorways leading into the kitchen and the living room. I made the chalk board you see there on the back wall, and I love to change it throughout the month with different quotes and sayings. It is hard for you to see, but right now the quote is "Be grateful for the home you have, knowing at this moment it is all you need." This hutch comes in so handy. I use it to store some of my vintage state glasses, place mats, and other goodies. It was my first thrift store purchase when I moved to Syracuse. My mom helped paint the hutch, and then I added some pattern to the back of the shelves to give it a little pop of color. I also made my own liners for the drawers. The fun thing about having this hutch in the dining room is I can change the display regularly. Right now it is showcasing these spheres I made. 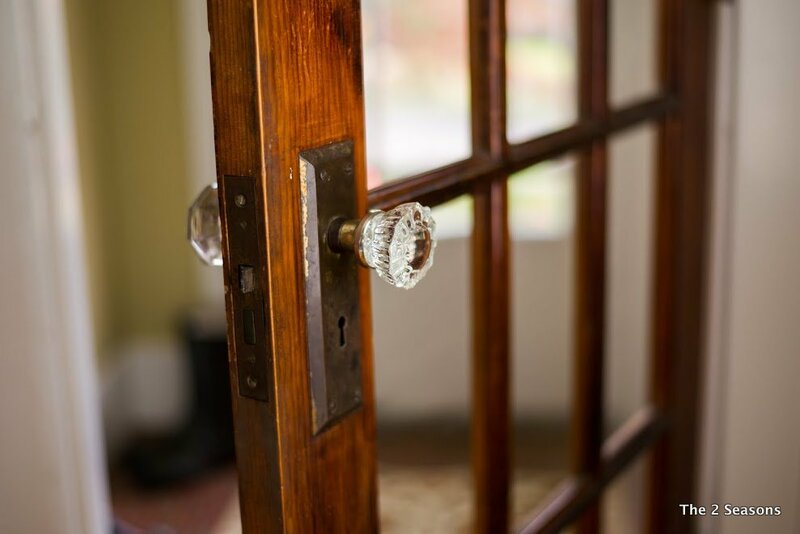 The joys of an old house are all the quirks it comes with that you do not realize right away. Our dining room did not have a light for over the table. There were only outlets for lamps. We hired an electrician to add some outlets around our house, and while he was here, he installed electricity in the ceiling. That was such a treat, and then I had the fun part of finding a light that would fit our style. 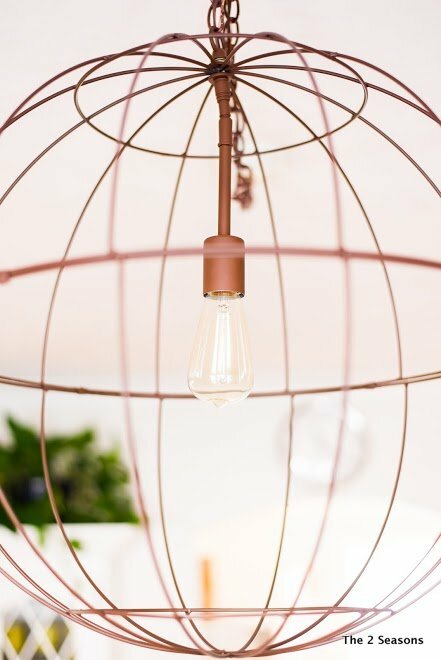 I added an old fashioned light bulb, and it makes such a great statement in this room. Most of our guests comment on it. Thank you so much for visiting my favorite room. Please drop by The 2 Seasons for a visit. 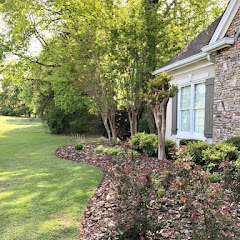 And, Kim, thank you so much for letting me share part of our home with your readers. 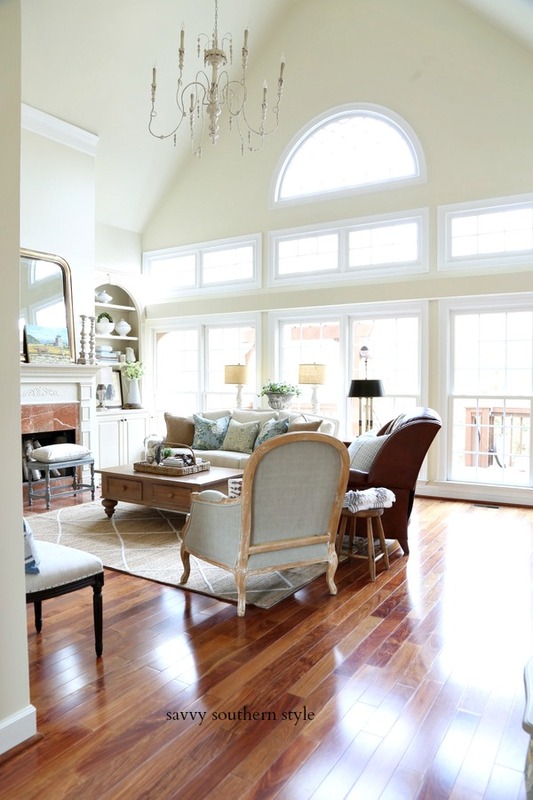 Jordan, I just love your charming older home and the dining room looks great. Thanks for sharing it with us. If y'all don't know The 2 Seasons blog I hope y'all will pop over and visit Jordan and her mom Janette. Janette will be sharing her favorite room in a few weeks. 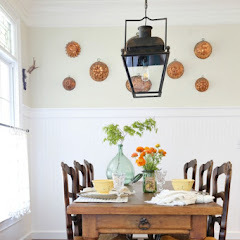 Oh what a great treat to see Jordan and her favorite room here today...Love Jordan and Janette...and love Jordan's dining room...so great to be able to see the room evolve on her blog. Jordan is quite talented as so her mom...they make a great team!....Great feature today...love Jordan's entire home!...Have a great weekend ladies!! 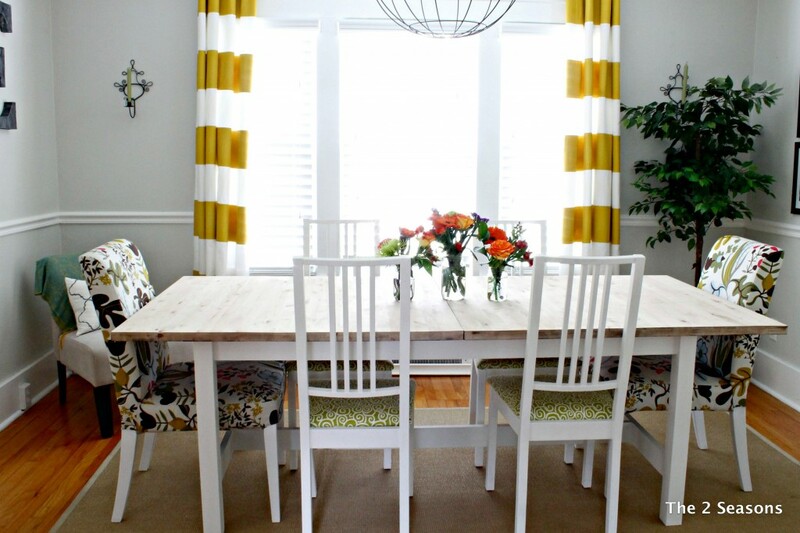 Love the cheerful colors in your dining room. great way to add life to your wall color. I enjoy your blog when I stop by there and was happy to read your interview. Thank you so much Kim for featuring my favorite room. I am sitting in that room as I type because it is so sunny and cheery today and a perfect place to have my first cup of coffee! Have a wonderful weekend. Jordan, it was such a wonderful surprise to see you at Kim's today! Meeting you and your mom was one of my Haven highlights. 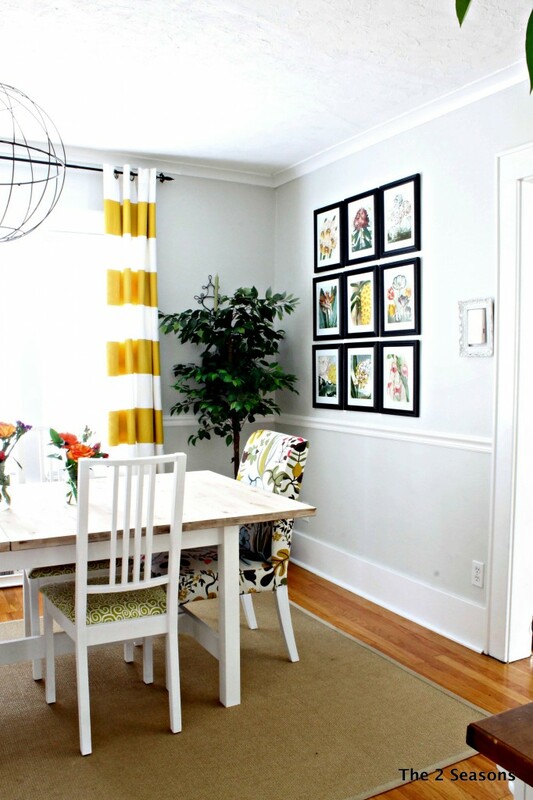 Your dining room is so bright and warm and friendly! I love love love the fabric on your chairs! You have such a charming home! Precious picture of you and your hubby! What a wonderful room! I love that she painted the stripes on the curtains!! Jordon has a beautiful old home. Lots of charm and character. Thanks for sharing her with us Kim. So excited to see Jordan featured here today. We started blogging about the same time, and it was a pleasure meeting her and her mother at Haven last year. I remember when she made those letters that spell out the word "DINE" and being impressed with that project. Somehow I missed the painted curtain project, but those curtains are so sunny and cheery in Jordan's beautiful dining room. Oh how I love older homes!! Jordan did a wonderful job on her dining room...love that DINE sign her and her mom made!! What a great tour. Love that large Dine sign and what a fantastic quote on the chalkboards. I say this every week but I love this series and meetingnew bloggers many times! I will pop over to Jordans too. Thanks for featuring her and have a great weekend, Kim. 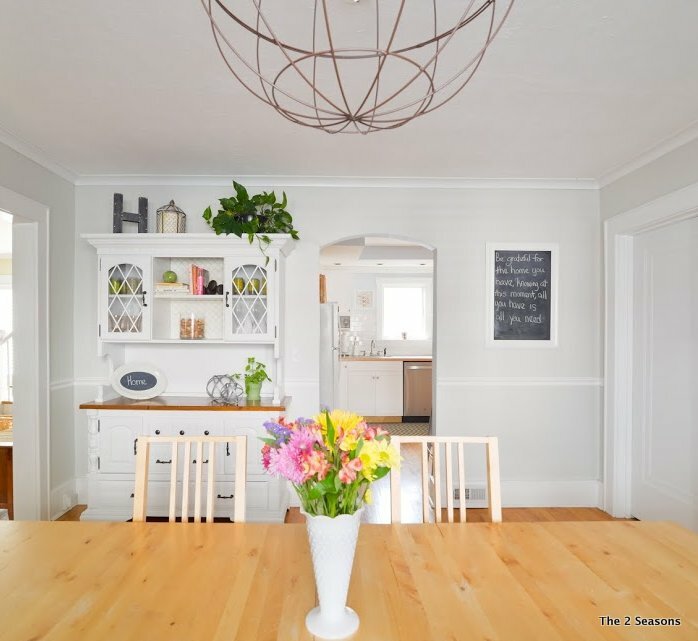 What a bright, cheerful and pretty home! Thanks Jordan and Kim for sharing your beautiful space! I love that you blog with your Mom, although I can't imagine blogging with mine! Lol I think it's really sweet! I've followed Janette and Jordan for years. I love the concept of a mother / daughter team blogging together. They are both very talented! Jordan's dining room is lovely. It's fun to see her 1020s bungalow. Love the blog 2 Seasons! And Jordans beautiful house! How nice that you all were able to meet at Haven! 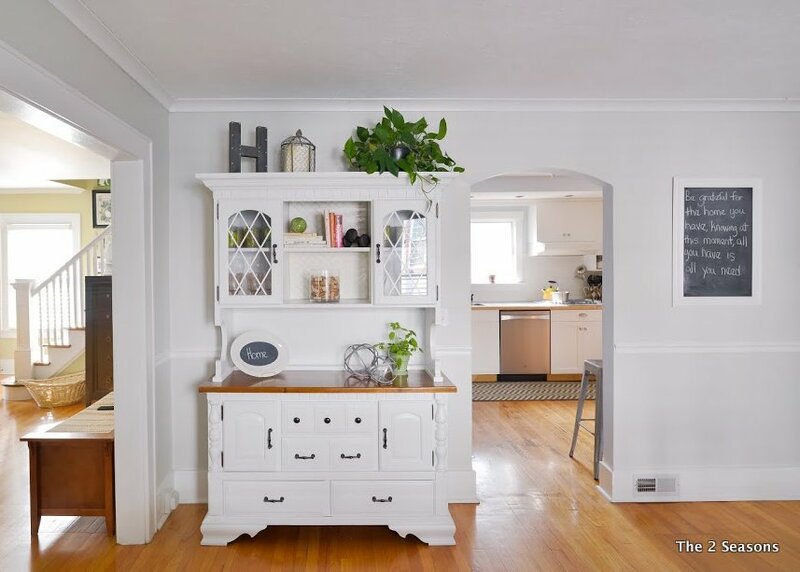 It's a great, cheerful space! 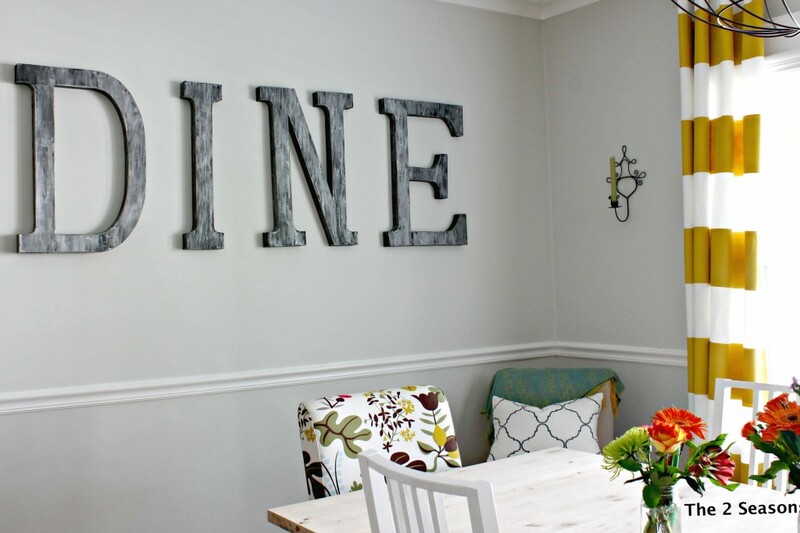 The Dine sign is great, and the framed thermostat is such a cute idea!